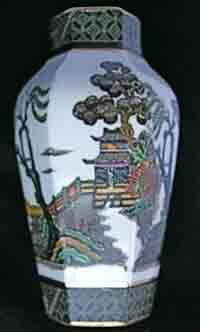 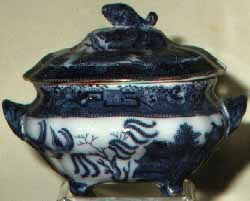 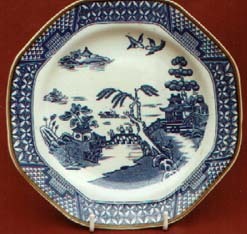 Apart from the ubiquitous Real Old Willow, Booths produced many other versions of the willow pattern, most of which are hard to find. 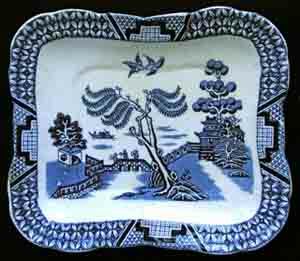 To view examples of our stock CLICK on any of the IMAGES below. 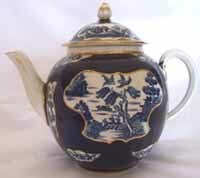 An unusual variant on Booths' famous Scale Blue pattern. 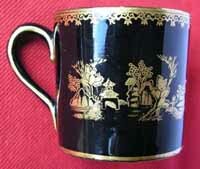 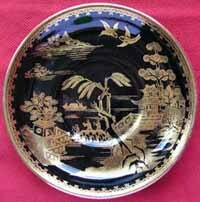 The Willow design is picked out here in gold on a shiny black ground. 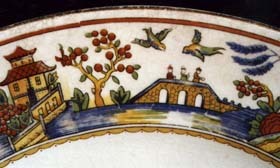 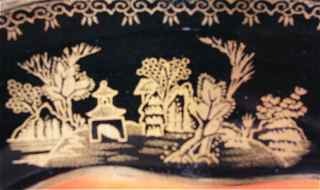 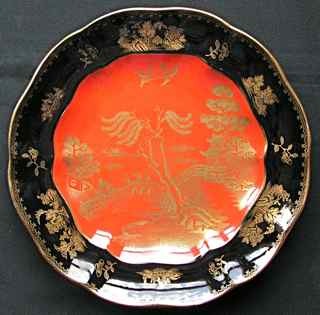 Similar to Black Willow, but the Willow pattern is confined to a red/orange area in the centre of the plate. 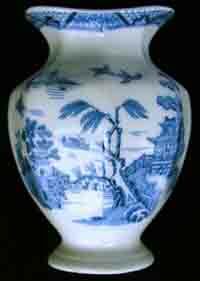 Rarely seen and perhaps the scarcest of all Booths Willow patterns, this was produced from the old Davenport engravings which Booths purchased when that company folded in 1887. 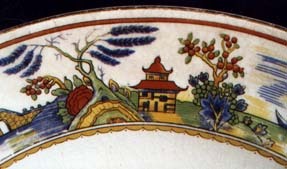 The mark includes the words 'Davenport Willow'. 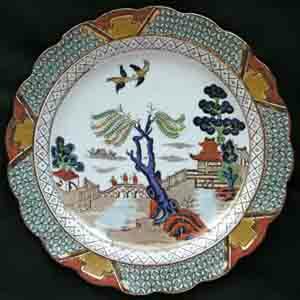 Davenport Willow has a beautiful pearly white colour and is highly prized by Willow collectors. 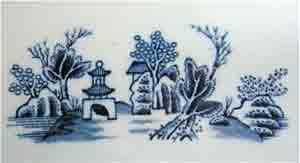 Thanks to Andrew and Olwyn at Lovers of Blue & White for providing us wth this photo.